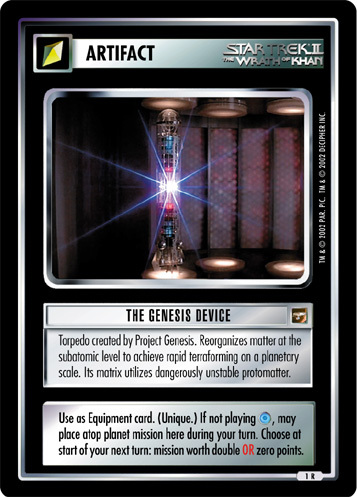 Torpedo created by Project Genesis. Reorganizes matter at the subatomic level to achieve rapid terraforming on a planetary scale. Its matrix utilized dangerously unstable protomatter. 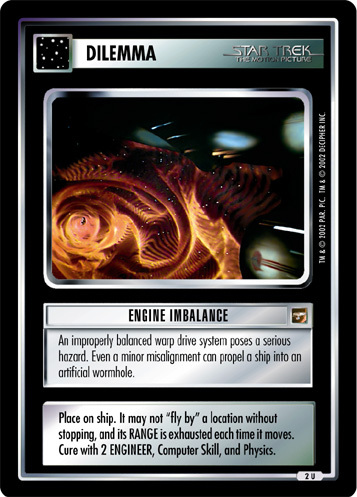 Use as Equipment card. (Unique.) If not playing , may place atop planet mission here during your turn. Choose at start of your next turn: mission worth double OR zero points.